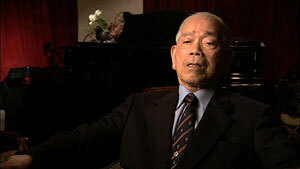 Lt. Atsushi Asamura is the last surviving pilot of the I-401 crew. He was the Japanese pilot chosen to lead the I-401 Seiran aircrew in the planned strike against the Panama Canal. Muneo Bando was the Navigation Officer on the I-401, who boarded the USS Segundo to negotiate with the Americans. Carlo Carlucci was on the whaleboat that first boarded the I-400, with Lt. John Balson. He was the signal-man, in charge of sending signals in Morse code from the deck of the I-400 to the USS Segundo, translating orders from the Segundo. 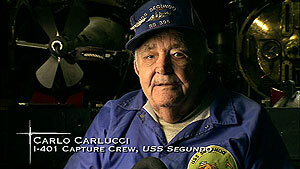 Carlucci spent three nights on the deck of the sub, sleeping in three-hour shifts. 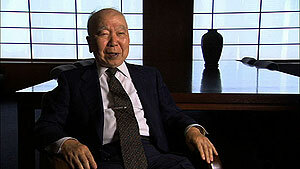 During this time he became acquainted with Lt. Atsushi Asamura. The two are still friendly to this day. 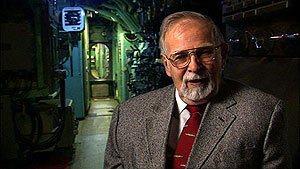 Paul Wittmer, I-401 Prize Crew Member, served on six submarine war patrols. He was on relief crew Proteus in Guam. 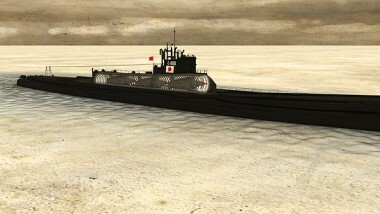 When I-401 was captured, he got on the destroyer and went to bring the submarine into Tokyo. He bluffed the Japanese into starting engine of the I-401 because U.S. sailors did not know how to start it up. 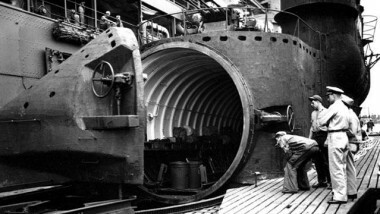 Eventually he learned how to operate the submarine. He did some trial runs and speed tests, then drove the sub from Guam to Hawaii. Tsugio Yata was the Gunnery Officer upon the I-401. He was one of the first to find Commander Tatsunosuke Ariizumi after he killed himself. 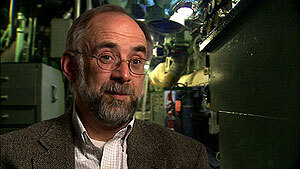 Carl Boyd is an American military historian with expertise in World War II-era Japanese submarines. He served in the U.S. Navy Submarine Service from 1954 to ‘58 before earning a PhD from University of California, Davis in 1971. He served as Professor of History at Old Dominion University in Norfolk, VA from 1975 to ‘85, and has held many other teaching and consulting positions since. Boyd has written extensively about World War II, and is the recipient of numerous awards, including the Fulbright fellowship. Stephen Budiansky is a historian, author, and journalist who has published books and articles on a wide variety of subjects, including twelve books about military and intelligence history. 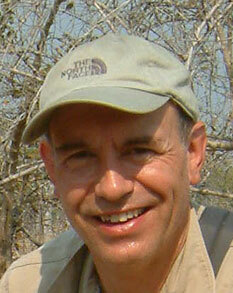 Budiansky attended Yale University and obtained a master’s degree in applied mathematics from Harvard University. Eric Grove is a British historian. He currently serves as Professor of Naval History and Director of the Centre for International Security and War Studies at the University of Salford. Previously he served as a senior lecturer in politics and international studies at the University of Hull, where he was also director of the Centre for Security Studies. He has published several books related to naval warfare and history. 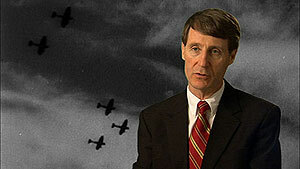 Stephen McFarland is a leading authority on American airpower in the 1930s and 40s. His book, America’s Pursuit of Precision Bombing, 1910-45, won the 1996 W. Stuart Symington Award from the Air Force History and Museums Program. Professor McFarland served in the United States Air Force, and earned his BA at the University of Kansas. Professor McFarland obtained his MA and PhD at the University of Texas. He completed his PhD in 1981, which featured a dissertation on the “crises in Iran, 1941-47.” In 1980, Professor McFarland began his teaching career at St. Edwards University. His career in education spans over two decades at St. Edwards and Auburn Universities. Professor McFarland was a Visiting Professor at the U.S. Air Force Air War College in 1991-93. McFarland is currently Acting Associate Provost for Academic Affairs and Dean of the Graduate School, Auburn University. His publications include: To Command the Sky: The Struggle for Air Superiority over Europe, 1942-44 (1991), which won a 1992 Certificate of Merit from the Aviation/Space Writers Association, and Army Air Forces Night Fighters in World War II (1997). 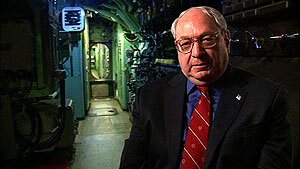 Norman Polmar is an analyst, consultant, and author specializing in naval, aviation, and intelligence issues. He is currently the Senior Consultant for National Security Programs at Gryphon Technologies. In addition, has held advisory positions with the Secretary of the Navy, DARPA, and the Department of Homeland Security, among others. Polmar is the author of numerous books about naval and military history and strategy. 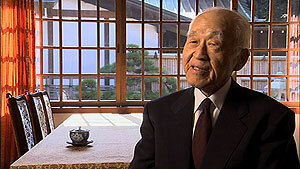 Osama Tagaya is a World War II historian and expert in Japanese Naval aviation. His father and grandfather served in Japanese Navy. As the son of a former officer in the Japanese Naval Air Technical Arsenal, Osamu Tagaya has written a number of books on Japanese aircraft, principally for the Smithsonian Institute. 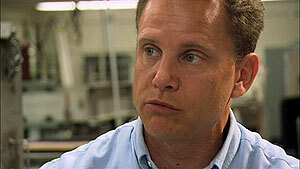 Harold Vincent is a Professor of Ocean Engineering at the University of Rhode Island. He spent six years on active duty in the U.S. Navy submarine service, and since then has been a Naval Reserve officer. He has over 20 years of experience with ocean engineering. When Craig McBurney was growing up in the New Haven, CT, area, his father, a part time flyer, instilled in him a love for flying. The television series Baa Baa Black Sheep — about the fictionalized escapades of the real World War II Marine combat air squadron VMF-214 led in 1943 by Major ‘Pappy’ Boyington — drew him to admire the plane flown in the show, the Chance Vought F4U Corsair. McBurney’s youthful passion for the Corsair resulted in his purchase of 97330 after a 1991 accident damaged it. The plane had been saved once from being scrapped and had been flown as a pleasure craft by a succession of Corsair enthusiasts. Having flown one of only two flyable WWII B-24 bombers with a traveling aircraft museum, McBurney gained experience in aircraft restoration; he was trained as an aviator at Embry-Riddle University and holds an FAA Airframe & Powerplant Mechanic’s certificate with an Inspection Authorization. As director of science programs, Jared Lipworth is responsible for commissioning and executive producing all science programs produced by THIRTEEN’s Science, Natural History and Features department. Current projects in production or development include Secrets of the Dead IX, Ground War, Curious II and The Human Spark, which is currently a finalist at the Jackson Hole Wildlife Film Festival for Presenter-Led programming. Recently completed projects include Curious, Warplane, Secrets of the Dead VII-VIII (with one program, Doping for Gold, up for a 2009 Emmy) and The Mysterious Human Heart, which won the 2008 Emmy for Science, Technology, and Nature programming. Prior to becoming executive producer and then director of science programs, Lipworth was the series producer for the department’s technology series, Innovation. He also served as series producer for the Emmy-nominated Secrets of the Dead III and coordinating producer for many of the department’s projects, including Warrior Challenge, Secrets of the Pharaohs, the Emmy Award-winning Frontier House and The Secret Life of the Brain, Warship, Taxi Dreams, Echoes From the White House and Savage Planet. 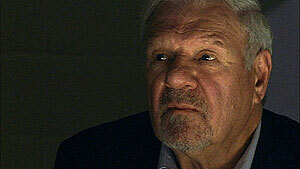 In 2003, Lipworth was nominated for a writing Emmy for Secrets of the Dead: Mystery of the Black Death. Additional credits at THIRTEEN include post-production producer for The American President and 1900 House and production assistant for Savage Seas, On The Trail of Mark Twain, The Great Balloon Race and Stories of Lupus. Before arriving at THIRTEEN, Lipworth produced, directed and edited In the Footsteps of the Black Rhino for the BBC’s Animal Zone. He received his master’s degree in broadcast journalism from New York University, where he won the award for academic excellence, and he received his bachelor’s degree in business management from Cornell University. 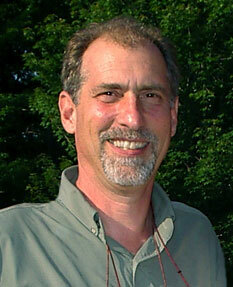 David Dugan is chairman of Windfall Films. His films have won many awards including three Emmys, a Royal Television Society award, a Grierson and two British Science Writer awards. He is executive producer on much of Windfall’s output. He also continues to direct projects. Recent productions include Inside Nature’s Giants (Channel 4); Lord of The Ants (NOVA, WGBH), a profile of inspirational evolutionary biologist and environmentalist, E.O. 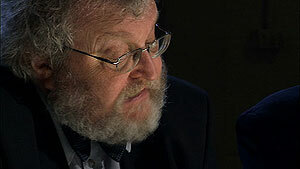 Wilson; and Absolute Zero, a two part history of extreme cold to launch BBC 4’s Science You Can’t See season. Eric Stange, executive producer and founder of Spy Pond Productions, is an award-winning independent documentary film producer, director and writer who specializes in history and science subjects. 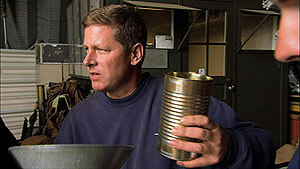 His work has been broadcast on PBS, The Discovery Channel, and the BBC. Recent productions include The War that Made America (PBS), and Unnatural Causes (PBS). Upcoming productions include After the Wall, about the Berlin Wall and German unification, for PBS.